Major steeltip tournament coming up! 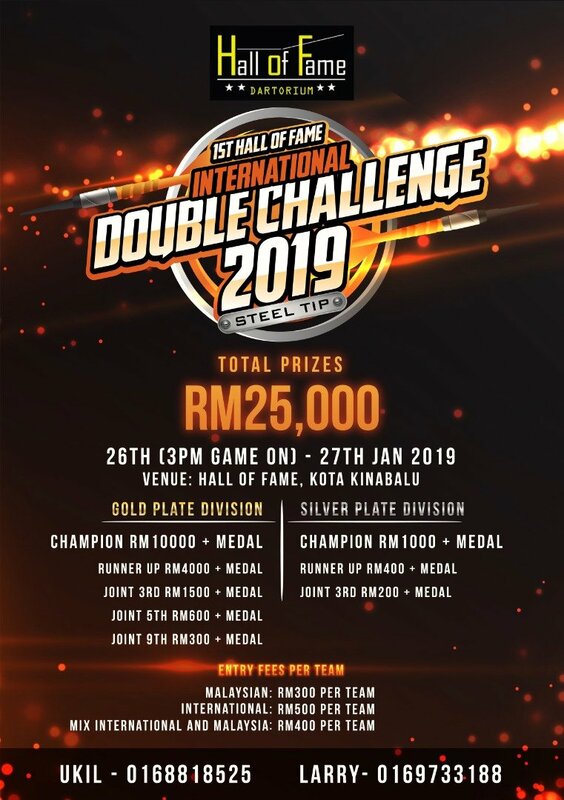 The 1st Hall Of Fame International Double Challenge 2019! From 26th to 27th January, 2019 at Hall Of Fame, Penampang. The Champion pair takes home a whopping RM10,000! Cash prizes and medals to Joint 9th placings. Please refer to poster for details and contacts. Visit Hall Of Fame Fanpage here. 9 Dart & Bistro 22.89 & below Doubles 2018. Softip tournament coming up! The 9 Dart & Bistro 22.89 & below Doubles 2018. From 7th to 8th December, 2018 at 9 Dart & Bistro, Plaza Utama, Penampang. Visit 9 Dart & Bistro fanpage here. Softtip tournament coming up! Ton80 Ladies Single BC Flight 9.89 rating at Ton80 Dart Lounge, Plaza 333, Penampang. From 23rd to 24th November, 2018. SSS Road to PDC Asia Tour 2018 Tour 7 & 8 Kuala Lumpur. 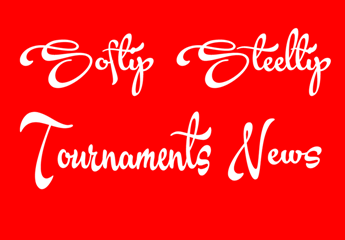 Steeltip tournament coming up in August! 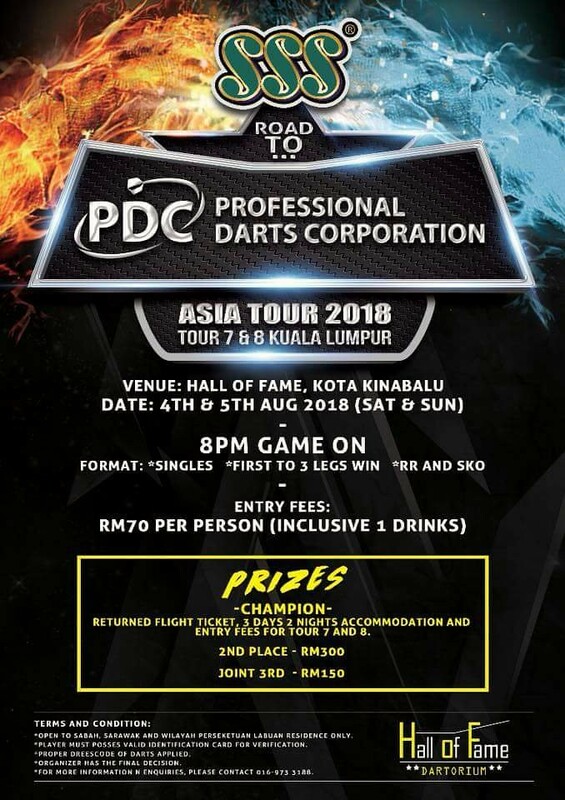 The SSS Road to PDC Asia Tour 2018 Tour 7 & 8 Kuala Lumpur, from 4th to 5th August, 2018, at Hall Of Fame, Kota Kinabalu. Open to Sabah, Sarawak and Labuan residents only. Please refer to poster for Terms and Conditions, and contact number. Softip tournament coming up! The LT CAFE Road To MALAYSIA DARTS FESTIVAL-JOHOR from 15th to 16th June, 2018 at LT Cafe, Taman Suria, Penampang. 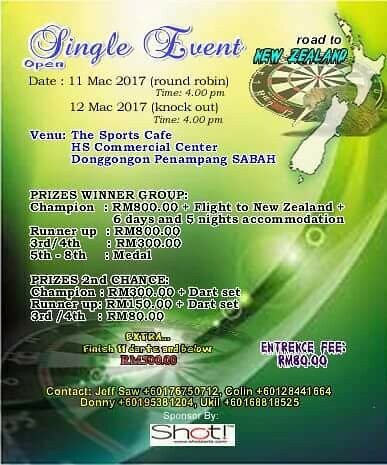 This is a Doubles tournament and the Champion pair wins a sponsored trip to Malaysia Darts Festival in Johor, inclusive of entrance to 2 events. *RETURNED TICKET, ACCOMMODATION AND ENTRANCE FEES COVERED. *Only open for Super League and Premiere League Players. *League Rating as Standards Rating for registration. If current card rating is higher or lower than league rating. Organizer will take rating whichever is higher upon registration. *Game master has the right to decline any not updated rating of player without prior notice. Steeltip tournament coming up! 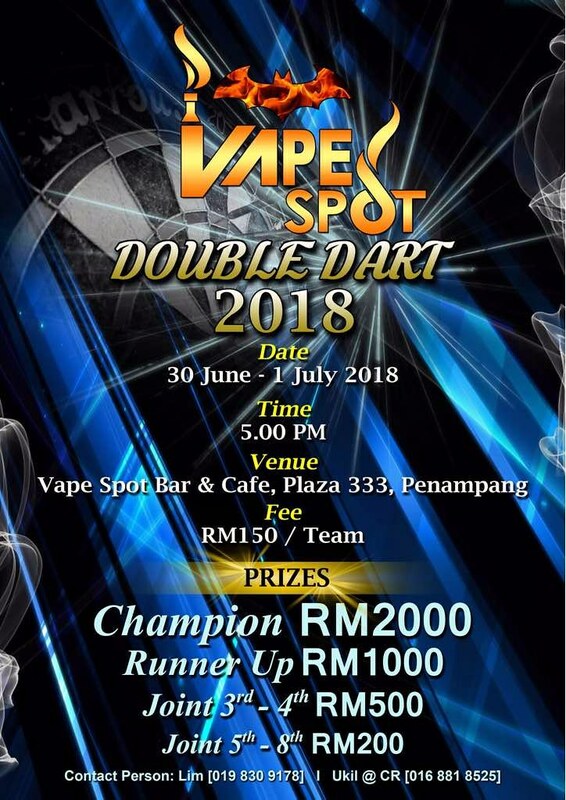 The Vape Spot Double Dart 2018 from 30 June to 1st July, 2018 at the Vape Spot Bar & Cafe, Plaza 333, Penampang. Please refer to poster for details and contact. Road to New Zealand Single Event Open this weekend! Steeltip event happening this weekend! Road to New Zealand Single Event Open. 11th to 12th March, 2017 at The Sports Cafe, HS Commercial Centre, Donggongon, Penampang. Roundrobin 4pm 11th (Saturday). Knockout 4pm 12th (Sunday). Winner gets RM800, flight tickets and 6 days 5 nights accomodation to compete in New Zealand.